The city of Nashville is all the rage right now. Not only is one of the most popular shows in primetime based in Music City, but some of the biggest names in Hollywood (think Nicole Kidman and Keith Urban) have relocated to this charming town. It’s official: Nashville is having a moment. 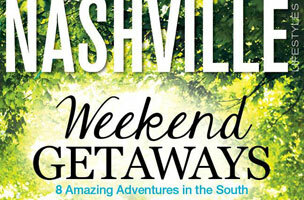 That’s where Nashville Lifestyles comes in. This monthly pub has a mix of readers, from longtime residents to recent transplants. The mag is 50 percent freelance written and covers everything that this Southern city has to offer, including the latest in shopping, restaurants, art, books and, of course, music events. Good news for fans of long-form: there are plenty of opportunities to practice your skills in the features well. The middle of the book is home to the “Style,” “Home” and “Taste” sections, as well as the general feature well, which contains long-form news and human-interest pieces. Recent examples include a profile of a high school that recently launched a record label and an in-depth look at the business and economic impact of the music festival Bonnaroo. And, of course, there’s plenty of room for music artist profiles, along with travel stories, service packages and just about anything else that fits the requirements of being both timely and Nashville-lifestyle-focused. Features generally run 1,500 to 2,500 words, but can go up to 3,000. 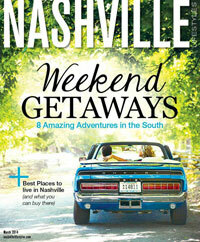 To learn more about this mag, including editors’ contact details, read: How To Pitch: Nashville Lifestyles.